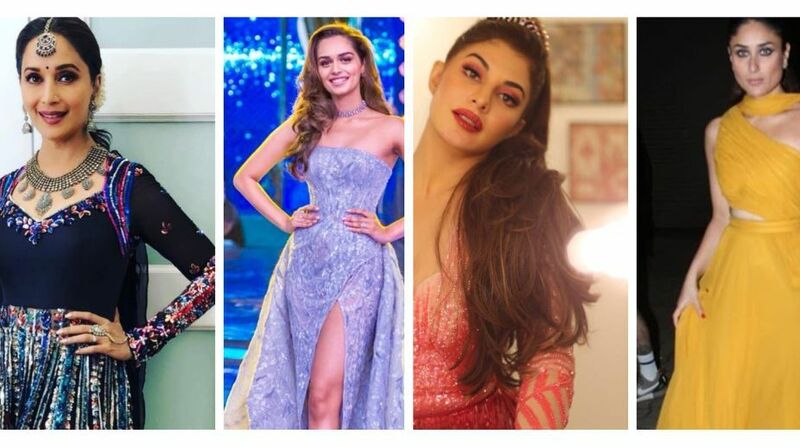 As the 55th Femina Miss India 2018 saw 19-year-old Anukreethy Vas as the winner, Bollywood divas added glamour to the event. The leading ladies of the film industry shook a leg to the popular songs and made the audience go gaga. Kareena Kapoor went back on the stage after two years and sizzled as she always does. Whether on the Tareefan song of her own film Veere Di Wedding or Kartik Aaryan’s song Bom Diggy, she nailed the whole act. Check out our talented and gorgeous Kareena Kapoor Khan as she gives a power-packed performance at Femina Miss India 2018. . Follow @timc.official for more Celebrity Updates. The dancing queen of Bollywood, Madhuri Dixit, on the other hand, gave a mesmerising performance with all the grace and poise. She even went on to croon a few lines of a song from her film Bucket List. Other than these two divas, Jaqueline Fernandez made the audience applaud quite loud. The Race 3 actress even pulled up the former Miss India Manushi Chillar at the end of her performance. Both of them twirled on Priyanka Chopra’s song Desi Girl and that was definitely a sight to watch. Read more: Daughter Stormi no more part of Kylie Jenner’s Instagram, fans ask why? The Femina Miss India 2018 ended with Anukreethy Vas from Tamil Nadu being crowned the winner, while first runner-up was Meenakshi Chaudhary from Haryana and second was Shreya Rao from Andhra Pradesh. Miss World 2017 Manushi Chhillar crowned her successor Anukreethy at the star-studded grand finale on Tuesday night at the Sardar Vallabhbhai Patel Indoor Stadium in Mumbai.